Camping is one of our favorite pastimes. It’s tough to beat a few days or a week in a natural setting away from all the hassles of everyday life. Many people understand that. A 2011 study released by The Outdoor Foundation reported that almost 40 million Americans participated in some form of camping in 2010. That equates to more than 14 percent of Americans over age six. Are you part of the 14 percent? I hope so. While some people are turned off by the rustic nature of camping and others view setting up camp as too much work. It is not, and doesn’t need to be. 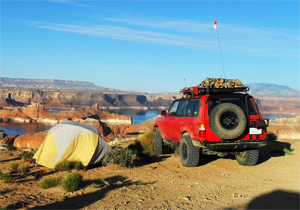 Once you’ve established a pattern for camping (which includes packing your vehicle), preparing for and setting up camp is actually quite enjoyable. It’s a pastime the entire family can enjoy. In an earlier column, I offer a number of suggestions on how and what to pack. The best campsites are found, not built. By this we mean you should look for a site that’s already been used for camping. Minimize your impact on the land. Don’t tramp down pristine land if you don’t have to. The steps involved in setting up camp can be broken down into two broad categories, Safety and Logistics. Avoid setting up camp next to hazards like dead (or dying) trees, power lines, critter holes, loose rock and those areas prone to flash flooding. If the entire area is a flood plane, pick a spot that has good drainage. You don’t want water pooling around your tent. Speaking of water, camping ethics recommend that you not set up camp within 200 yards of streams or ponds. This is so you don’t disturb wild game that uses those sources of water. Also, avoid setting up next to plants and bushes that could cause a problem. Some of these include poison ivy (and related plants) and cacti. While more of a nuisance, these plants can still ruin a day or weekend. Assuming the area is free of obvious hazards, here are some additional suggestions to consider. Inspect the ground for pebbles, sticks and other sharp objects. You may need to rake or otherwise clear a patch of ground for your tent. If you’re camping on an incline, position your tent so your head will be uphill. That is generally the most comfortable position. Rarely do you find flat, smooth ground outside established parks and campgrounds. You get to your camping area and find one section that’s bumpy or grooved. Another spot is smooth but at an angle. Which do you choose? Most people select the bumpy ground because they prefer being on the level. They know their air mattress or other padding will provide a comfortable sleep. Assuming drainage isn’t a factor, this type of decision is more based upon personal preference. Give it some thought when you face this scenario for the first time. If you’re camping near the bottom of a large hill, walk around to get a feel for the run-off pattern(s). Even light rains can generate small streams for a brief time. Setting up camp next to a large boulder may seem like a good idea – it creates a natural wind break – but inspect the area above the boulder. Do you see loose rocks? Those could come tumbling down on your head during a storm. Wind whipping around the boulder sometimes causes howling or whistling noises. If you’re a light sleeper, you may consider placing your tent somewhere else. Trees and shrubs provide some protection from the elements, including a beating sun. Inspect for dead limbs, beehives and critter nests or dens. Position your tent with the prevailing winds in mind. For rectangular tents, position the narrow side to the wind. If yours is tapered, the tapered side should face the wind. You’re trying to minimize the wind load and therefore overall effect of any winds. Some people prefer to have the door face a non-windy direction. As for the front door, I like to have it facing the east. I get to view a nice sunrise to start the day, and it seems to warm the tent faster. After you’ve experienced it, I’m sure you’ll agree that camping out is really quite enjoyable. A few days away with Mother Nature does wonders for the soul and body. When and where are you going to set up camp? Did you miss the previous articles? 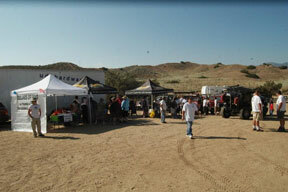 Getting Started off-Road Driving Clinics the first one in the San Diego area is September 22. Customer Appreciation Event is September 30. Death Valley NP Expedition is October 12-15. 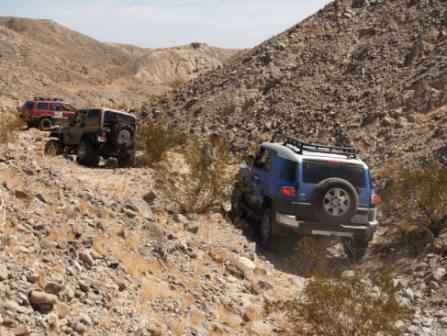 Getting Started Driving Off-Road Clinic : LA Area is October 6. 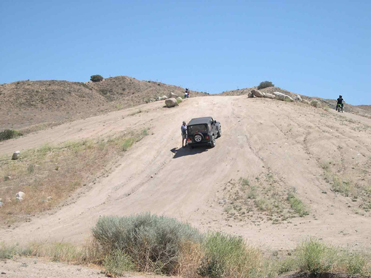 Redondo Beach, CA – Badlands Off-Road Adventures today is launching an additional training location for their “Getting Started Driving Off-Road Clinics”. 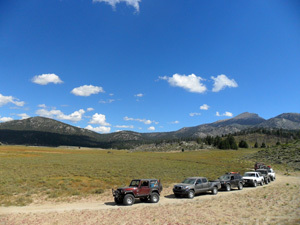 Tom Severin, President of Badlands Off-Road Adventures, announced that Badlands Off-Road Adventures will begin conducting monthly clinics in the San Diego Area starting in September 2012. 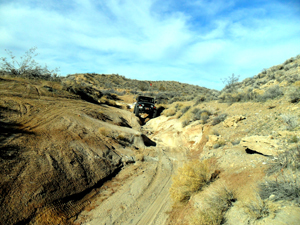 The Getting Started Driving Off-Road clinic is specifically designed to meet the needs of novice off-highway drivers or someone with a bit of experience who is looking for a more complete understanding. The class covers basic information about 4WD vehicles. The class concentrates on safety and environmental concerns off-road. The bulk of the class is devoted to driving technique and picking lines to get you through a variety of terrain. Students receive a textbook and handouts of the material covered. Some of the topics covered in the class: Off Road Vehicles, How 4WD Works, Driving Technique, Safety, Pre Run Check, Survival & Peace of Mind Kits, Options & Accessories, Getting Unstuck / Winching, Post Trip maintenance, Trail Etiquette & Tread Lightly. This class does not address vehicle build-up options and issues. This is a 4 day trip on the back roads in Death Valley. We will drive the Panamint Mountains, drive past Badwater Basin (lowest spot in North America), visit Chloride Ghost town, Titus Canyon, check out Ubehebe Crater, Teakettle junction, The Race Track & Lippencott Mine Road, camp at the Warm Springs and leave via Steal Pass up to the high meadows, then take Dedeckera Canyon down to the Eureka Sand Dunes. All four days will see some light to moderate 4-wheeling. Much of the trip is quite remote with random or no cell service. Friends of last Chance Canyon are looking for additional volunteers to help by camping at the Bickel Camp. 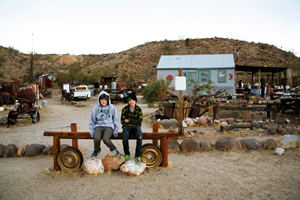 Bickel Camp is a museum in the desert preserved in context with the help of volunteers and the BLM. Located in Last Chance Canyon below famed Burro Schmidt's Tunnel, Bickel Camp is mostly intact because of the help from volunteers. Friends of last Chance Canyon (http://www.tflcc.org) is a non-profit formed to help preserve Bickel Camp and other cabins and artifacts within last Chance Canyon. Want to spend a week or a weekend in the desert? They are always looking for volunteers to help by camping on site (with or without docent responsibilities). It's fun! And you'll be helping to preserve our California Mining History. There is a motor home on site, a porta-potty and support from volunteers with water and other supplies. Contact Charlie Hattendorf through the website above so you can be scheduled in! Want To Use This Article In Your Magazine, E-Zine, Club Newsletter Or Web Site? You are welcome to use it anytime, just be sure to include the following author/copyright information: Tom Severin, 4x4 Coach, teaches 4WD owners how to confidently and safely use their vehicles to the fullest extent in difficult terrain and adverse driving conditions. Visit www.4x4training.com to develop or improve your driving skill. 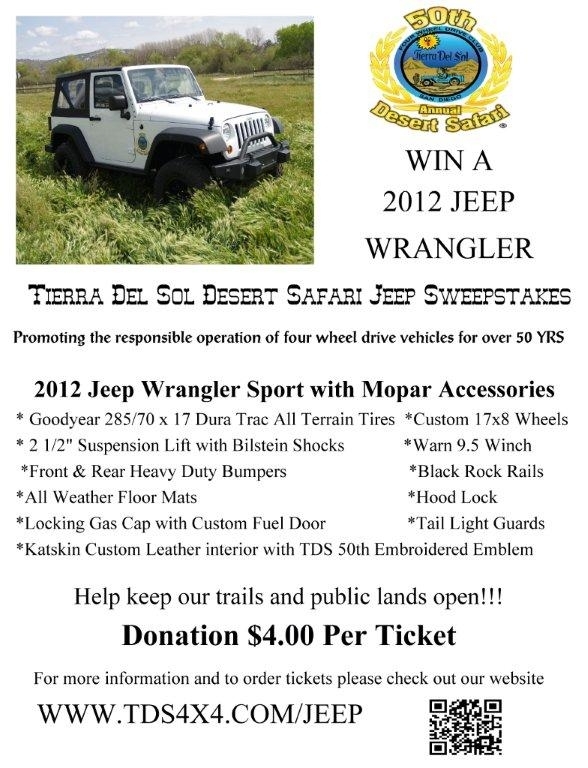 Copyright 2012, Badlands Off-Road Adventures, Inc.